One of my most favorite foods in the whole wide world is lobster. If I could eat it every week, I would, but since I live in the Midwest, lobster is definitely not in abundance. However, over Valentine’s weekend, most restaurants will be offering it as a special on their menu. I’m here to tell you that you don’t need to go to a restaurant to enjoy this delicacy. And everyone knows how much money you can save by preparing your own meals at home. I used to be intimidated by lobster. The first couple times I attempted it, I cooked it too long. I always used to steam it. 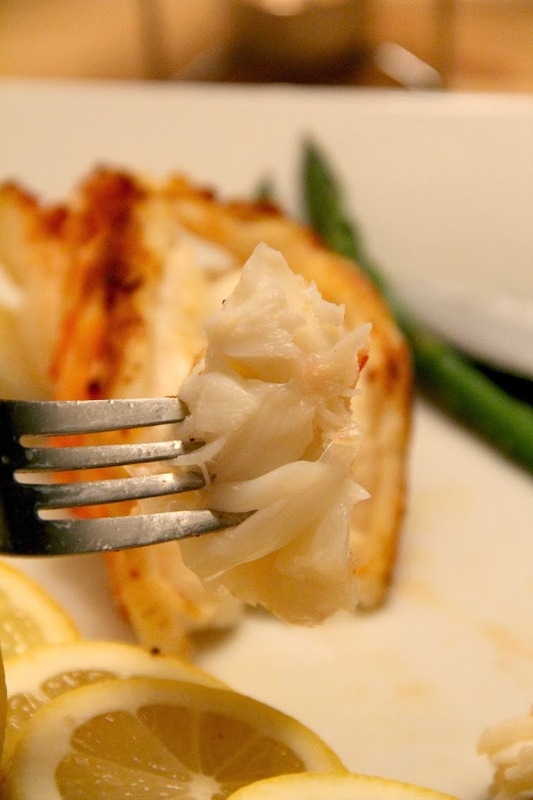 A couple years ago I decided to try broiling my lobster tails rather than steaming them. And ever since then, I’ve never turned back. 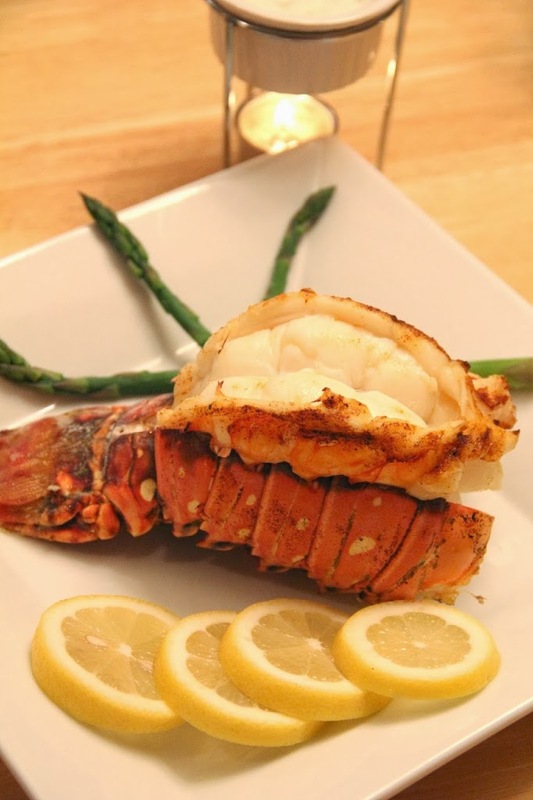 Broiling lobster is definitely the way to go, and in my opinion, the presentation is much more appetizing than if you were to steam it. Turn your oven broiler on low while you prepare the tails. 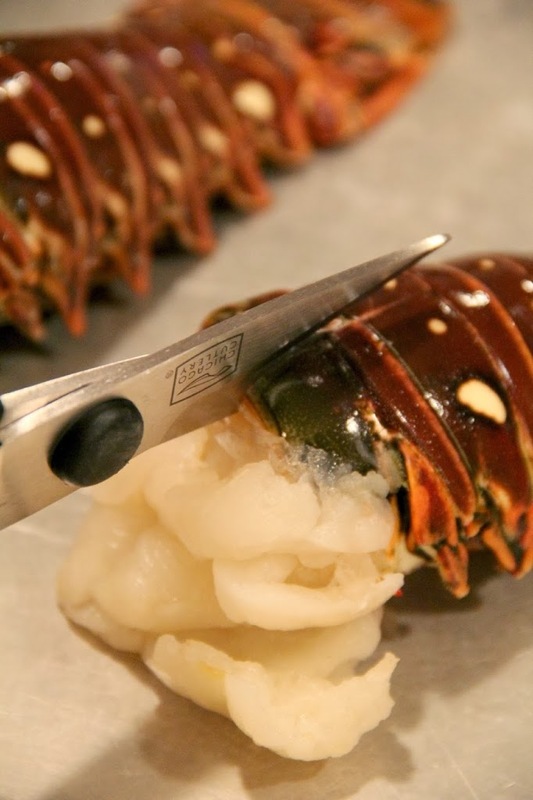 Start by cutting the shell of the lobster tail right down the middle with a clean kitchen shears. Try not to cut into the meat. Cut above the meat so you’re cutting the shell only. This is probably the most challenging part of the entire preparation. 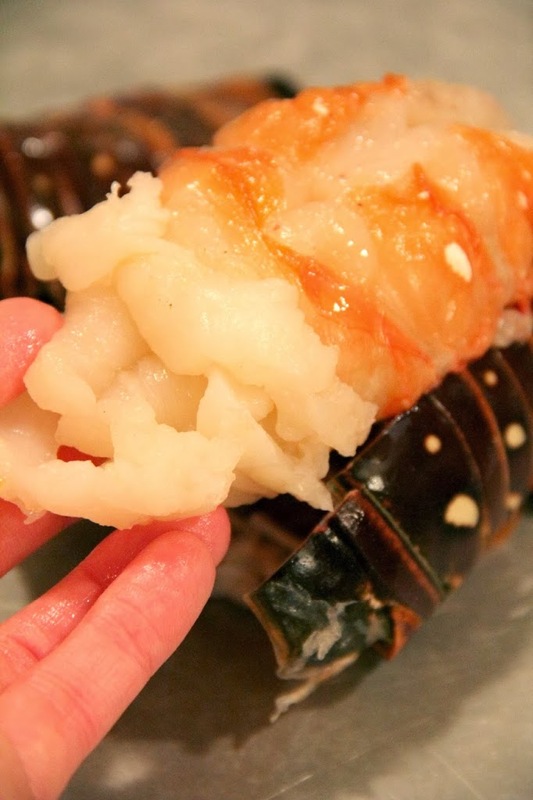 With both hands, pry the shell apart, loosening the meat of the lobster from the bottom, sides and top of the shell (keeping the end of the tail in tact). Once the meat is loosened, carefully pull the meat through the top of the shell and place it on top of the shell. Get a knife and make a long vertical slit in the meat. 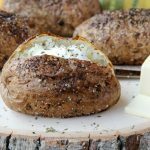 Place a couple pats of butter in the “valley” you’ve made and season it (to taste) with the garlic powder, garlic pepper, salt and paprika. Put your tails onto your foil-covered broiler pan and place the pan in the oven. I usually put my oven rack in the second position from the top. 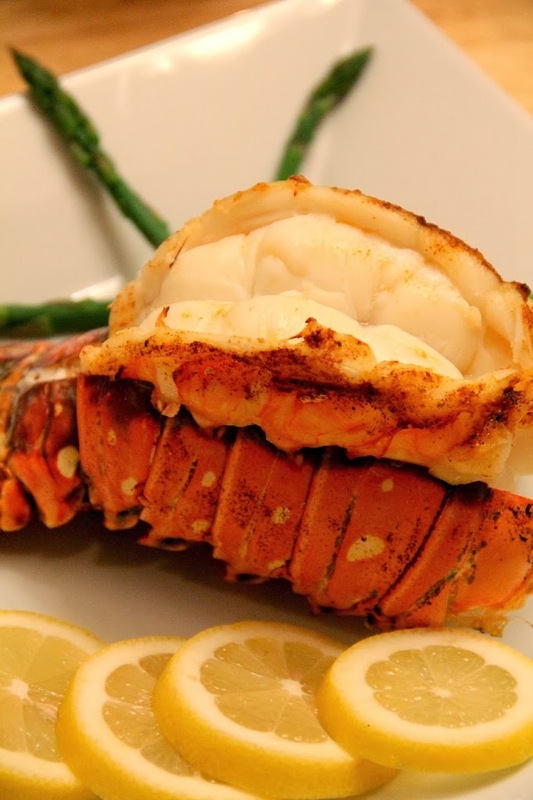 Broil on low for 11-15 minutes or until the internal temperature of the lobster reaches 140 degrees Fahrenheit. A good rule of thumb is one minute per ounce. Serve with drawn butter and lemon. Did I not tell you that there’s no need to go to a restaurant when you’re craving lobster? Making it right at home is just as special. What’s even more special is sharing it with that special someone. Now that I’ve said “special” four times in a row, I hope you understand truly how special this meal can be. And. . .that was five. And when it comes to cleaning up after dinner, whomever you’re sharing this wonderful lobster with will, for sure, offer to do the dishes in return for such an exquisite meal. Right? Don’t worry, there won’t be much to clean up, anyway. What are you doing for Valentine’s Day this year? 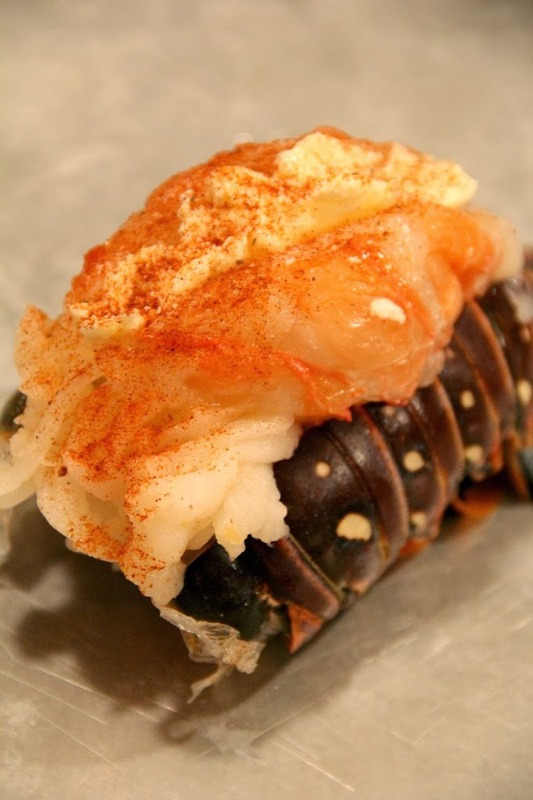 If you haven’t already made plans, you may want to consider preparing your own broiled lobster tails. If you have already made reservations, there’s still time to cancel. Just sayin’. Love this lobster. 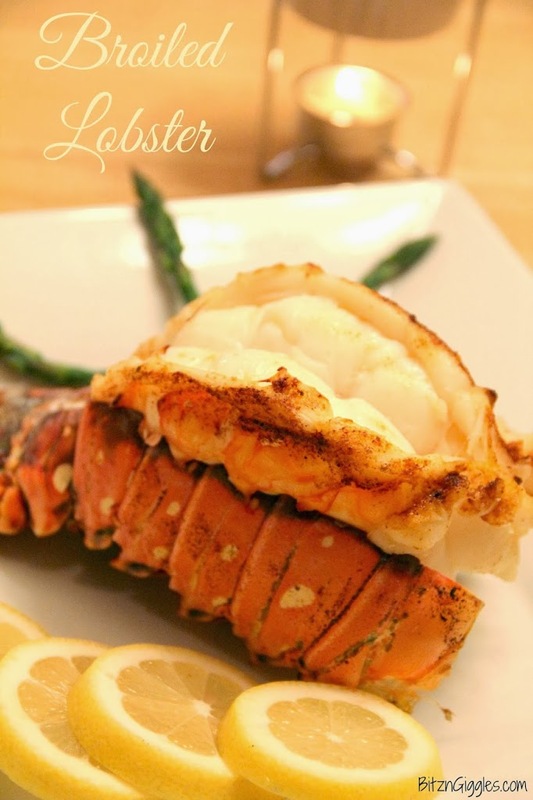 Lobster is one of my most favorite dishes and your’s look gorgeous! Thanks so much, Paula. It is definitely a treat for us here in the Midwest! Jacqui, you are welcome! You should definitely try it some time! It’s actually very easy! 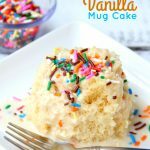 Thanks for linking up with us at Tell Me About It Tuesday! I hope you hop over again next week. Thanks so much for stopping by Caitlyn! I will definitely be back next week! 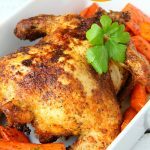 What if my broiler only has one setting? Is the rule 1 minute pre ounce still correct? Hi Stephie, if your broiler only has one setting I would continue to take the temp of the lobster with a meat thermometer. When it hit 140 degrees it’s ready! 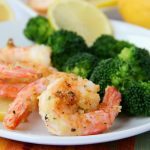 I have never cooked lobster before, so a few questions. 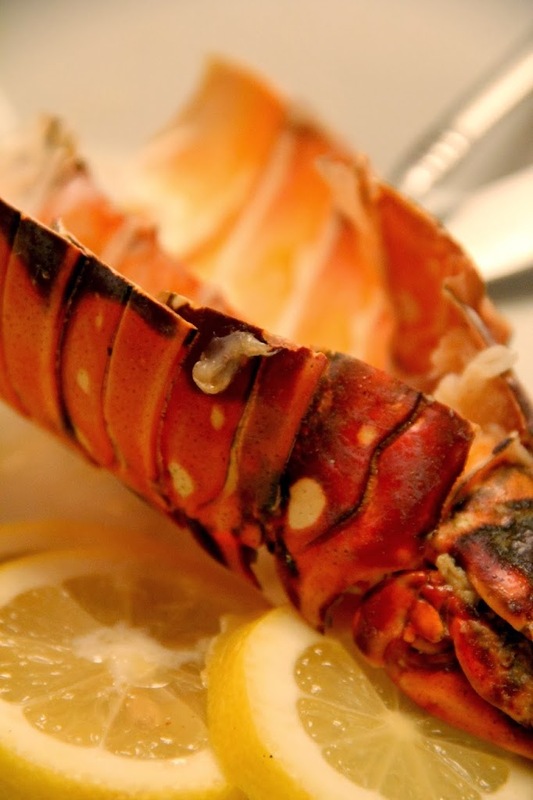 Do you cook the lobster before you broil it? How do you detach the tail from the rest of the body? What do you do with the claws? Michelle, your dinner sounds like it was AMAZING! So glad the lobster tails turned out for you!